Description Summons a forest dryad to sprinkle poison dust. Inflicts Poison. 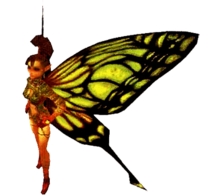 Sonja is a 7th-level Green Element from Chrono Cross. This page was last edited on 1 August 2011, at 01:35.